For many sufferers of vertigo, a simple change of diet can eliminate some symptoms. Besides inner ear problems and injuries, some common causes of vertigo include nutritional deficiencies, high cholesterol, hypertension and blood sugar fluctuations. contribute to the fluctuations in blood sugar levels associated with vertigo. Eat more complex carbohydrates like wholegrain bread, chapattis/pulkas, brown rice, legumes and vegetables to maintain blood sugar balance. • Eat a low-sodium diet. Sodium aggravates high blood pressure. Talk to your doctor about the appropriate amount of salt intake for your diet if you have hypertension. • Drink plenty of water throughout the day and stay away from caffeinated beverages. Caffeine is a stimulant and a diuretic which contributes to mild fluid loss and dehydration. • Limit the amount of high-cholesterol and fatty foods you eat such as red meat, fried food and fatty dairy products to control cholesterol levels in the body. • Improve circulation by eating plenty of fruits and vegetables. Garlic, chilies and ginger are thought to improve the circulatory disorders associated with vertigo. 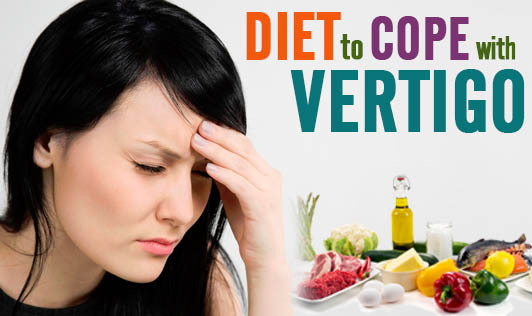 • Talk to your doctor about the causes of vertigo before implementing any diet. • If your vertigo is caused by an inadequate intake of vitamins or minerals, taking a multi-vitamin or specific supplement may improve your symptoms.